Support AFAAD’s work with Adopted People and Foster Care Alumni! You can make an immediate impact by contributing to our work on line! PLEASE HELP US REACH OUR $5000 FUND RAISING GOAL! Four years ago, a group of over 30 Black adoptees and foster care survivors came together in Oakland, California and began building a network to support others with similar experiences. Since our inception, AFAAD has directly impacted the lives of over 300 youth and adults with our educational, support, healing, and advocacy work. And we’ve barely scratched the surface. •	We hold monthly discussion groups, education events and social events in the San Francisco Bay Area. Adult adoptees and foster care survivors rarely have the opportunity to talk with other adults who share their stories, or explore how those stories shape our lives – both in painful and joyful ways. Our support meetings offer an opportunity for us to build community and to share our histories and current lives – and for many of us, this is the first time we can do so in a space that’s exclusively ours! Our meetings support those who decide to search for their kin and for those who choose not to do so, and also provide an opportunity for us to educate each other as we connect our individual stories to the larger themes that affect black children in disrupted families locally and internationally. •	We expanded through the creation of a new chapter in Minnesota. Our MN chapter hold as its priorities: to connect the local network of adoptees and foster care alumni community with one another and to connect with MN organizations who are providing support for adoptive families. Its significant that our first chapter born would be in Minnesota as it has, per capita, the highest population of international/transracial adoptees from around the globe. The discussion group that has started there is a major addition to conversations about black adoptees and foster care alumni in MN area. •	We helped found and participated in the Adoptees of Color Roundtable (ACR). In collaboration with other adoptee-led organizations, AFAAD was a major contributor to the founding and development of the international Adoptee of Color Roundtable. We worked with ACR to help draft a statement on the adoption of children from Haiti after the earthquake, which was signed and endorsed by over 100 individuals and organizations from across the globe. The ACR Statement was the first time that a substantial group of adoptees of color from multiple nations came together to issue a statement about families of color having a right to due process prior to the removal of their children. •	We organize and continue our Annual Gathering for Adoptees and Foster Care Alumni. The purpose of our Annual Gathering is to make connections, network, educate, provide healing space, and celebrate the diversity of our experiences, including those whose interrupted family lives include adoptees and foster care alumni who were placed transracially and with their same race, internationally and domestically, and within or without existing kinship networks. Our Annual Gathering is an opportunity for AFAAD scholars and artists to present their personal and professional work on relevant themes and is a time for making connections through activities designed to heal and celebrate our community. The Gathering attracts attendees from across the U.S. and Canada, and always includes a public event to provide education and support for adoptive families and the larger community. •	We continued our Education and Advocacy work. Support from our donors and members enabled us to lead a session at the United States Social Forum in Detroit, where over 30 participants from all over the world left with a concrete understanding of how child removal from communities of color connects with other social justice movements and issues, and with pathways to support each others’ work. As you can see, AFAAD has touched and changed lives in the few years since we were founded. As we continue to advance our efforts to support the well being of adult adoptees and foster care survivors, expanding our current programming and setting a strategic plan in place to guide our efforts over the next 5 years we look to our supporters to help us grow. •	2010 Mini Gathering AFAAD seeks to continue our successful annual Gathering. In November, AFAAD will hold a Mini Gathering in Atlanta. The one-day event will feature a film screening, discussion, and the first opportunity for black adoptees and foster care alumni to gather on the East Coast under the AFAAD banner. Because of support of donors like you this event is presented as FREE to the public and to the adoptees and foster care alumni in the Atlanta area. We are so excited to connect with community in Atlanta! •	Website development: AFAAD’s website needs an overhaul; please support with financial and in-kind resources as we develop our web presence to reflect our projected growth and future plans. •	AFAAD 5 year Strategic Planning: AFAAD currently faces a critical point in its growth and development as the international conversation around race and family gains prominence. The time is right for AFAAD to take a step back, assess where we’ve been, and develop a strategic road map for our continued growth in the next 5 years. We need your help to hire a consultant to guide us through that process. Our Goal is to raise $5000.00 by December 30, 2010. Won’t you help us continue our work to support adopted people and foster care alumni? Individual donors and group sponsors, unless otherwise requested, will be listed on our website, afaad.wordpress.com, posted in our program materials, and on our social networking sites and receive our newsletter. Sponsors who commit over $100.00 will also receive our newsletter and a limited-edition AFAAD t-shirt! Please join us in our mission to support, educate and advocate for adoptees and foster care survivors world wide. On behalf of the many people like us who will directly benefit from your gift, thank you for your support. 3rd Annual AFAAD (Mini) Gathering for Adoptees and Foster Care Alumni of African Descent and screening of the film, “Off and Running” (co sponsored by PBS’s POV films) Saturday November 13, in Atlanta, GA! 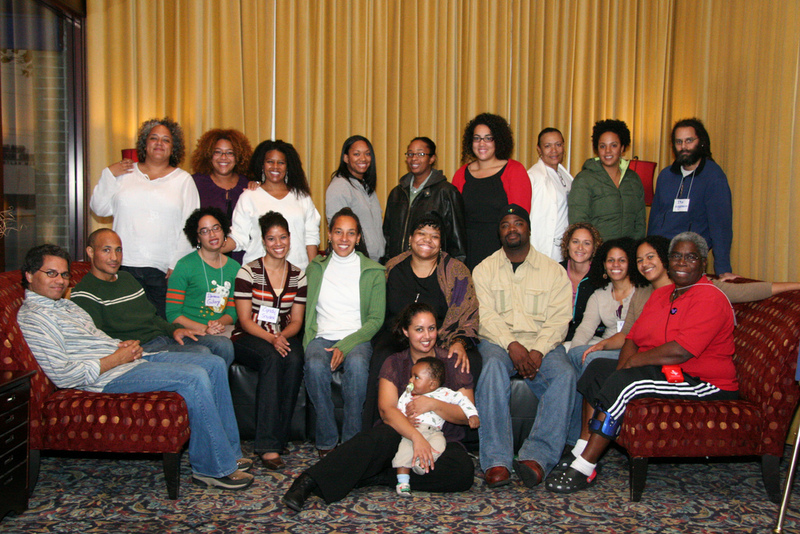 AFAAD (Adopted and Fostered Adults of the African Diaspora) was formed specifically to support adopted and fostered people, to share our common and divergent experiences around race, adoption, joy, loss, family, search and reunion, and self identity and to celebrate our unique creativity, stories and community. AFAAD’s 3rd Annual (Mini) Gathering is designed with you mind. The purpose of our Annual Gathering is to make connections, network, educate, provide healing space, and to celebrate the diversity of our amazing diaspora of transracial, international, domestic adoptees and foster care alumni. AFAAD uses “Black” in the widest diasporic sense, which includes African, African American, AfroAsian and AfroLatino, bi-racial and multi-heritage peoples. For more information about our mission, community and legislative advocacy work and how to donate to our work please feel free to call, email or visit our website. – FREE Register for the Events here!